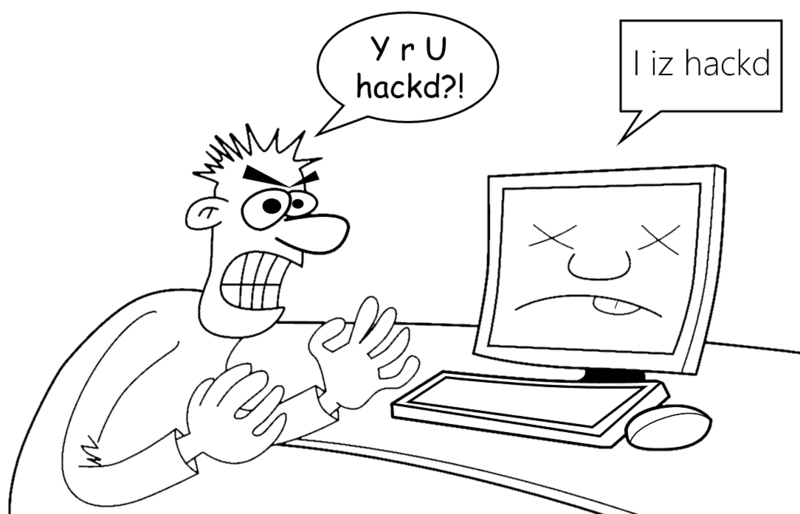 You are here: Home / FAQ / Can a VoIP Phone System Be Hacked? No matter where you live or what kind of a software and device you use, being hacked is definitely the worst thing possible – even worse than a complete system crash. Just imagining being listened to by a stranger and/or using you as a pawn for committing something illegal is enough the send shivers down anyone’s spine. And unfortunately, whether the hacker was doing his/her “job” for fun or has malicious intents, nobody and nothing is safe from hackers. Yes, not even virtual phone systems. However, there’s no need to panic: there are several ways to detect whether you are hacked or not and if not, how to prevent hackers to attack your system. First of all, recognize your enemy: some hackers block your phone system for fun (just to annoy you and other victims), but many hackers can launch DDoS attacks (to be ceased for ransom money), initiate premium rate calls (and incriminate you) or even just listen to your conversations with such intent the Party from Nineteen Eighty-Four would be proud of. There are unknown/unwanted calls in your call history, mostly to and from international numbers. You get fake antivirus messages. Internet searches are directed to unwanted sites when the VoIP system is on. Webcams and microphones “activate themselves” without your involvement. Your phone bill skyrockets for seemingly no apparent reason. 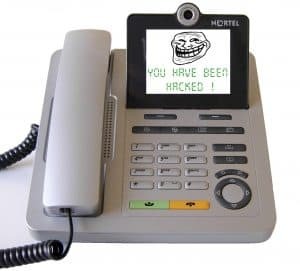 It is easy to blame VoIP service providers for not protecting your systems (and to be honest, some service providers are indeed not cautious enough), but research shows that most of the hacks could have been prevented should the victims have changed the password of their routers the moment they got the device. All routers have ridiculously simple passwords by default, so changing them by a secure and non-obvious password builds a wall in front of the hackers. Speaking of walls, a good firewall is a must (it is easier to allow trusted traffic to go through than blocking malicious sites one by one) which becomes even stronger if you have a reliable, always up to date antivirus program – on all devices that use the internet. And, of course, if you don’t use a device, unplug/disable/deactivate it immediately. There is also a neat trick you might not think of first: VPNs. Our article about using VPNs with your VoIP service explains how to place/receive calls for free or for a reduced price, posing as a virtual resident of another country, and how to prevent ISPs from blocking certain contents and applications. However, there is one thing we only mentioned briefly: internet traffic encryption. A VPN acts as an invisible cloak as you establish an encrypted connection with your VoIP system, which prevents anybody from tapping into your incoming and outgoing calls. And if nobody, including hackers, can’t see you, then chances are you will not be a victim of a nasty hacker attack anymore.